Before we go discover 50 Ways to Improve SEO For Your Ecommerce Store, let’s take a look at the industry and how it has evolved in our times. Fortune Statics revealed the largest share of digital ad market goes to Google and Facebook. For example, $60 billion advertising revenue in 2015 was split into $30 billion for Google and $8 billion for Facebook. A Selz report shows that 44 percent of online shoppers start from search engines only. These figures suggest that search engine optimization determines the growth of ecommerce businesses. Ignoring SEO will be a real disaster even if you have the best products and website but people can’t find them. This is where SEO helps rank your business high in SERPs (Search Engine Result Pages) and increase the visibility of your store in the target market. 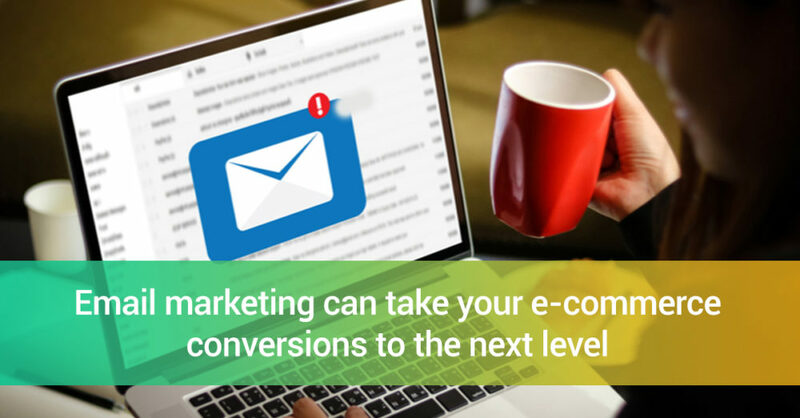 The more the traffic, the higher your conversion rate will be. Search engines love well-organized websites that have understandable content. SILOING or THEMING is the process that allows you to precisely group similar items within the same category. In flat site architecture, the homepage links to the categories, which then links to the pages under it. In deep site architecture, categories from the homepage have more subcategories until you reach to the pages under each. Prefer flat site architecture over deep site architecture to avoid burying your main content under multiple subcategories. Both flat and deep site architectures may have concerns with URL structures. On the one hand, too flat architecture can result in excessively broad categories, which is less helpful to visitors and search spiders. On the other hand, narrowed categories may bury your product pages too deeply. Though search spiders can read long URL strings, long URL strings can affect user’s experience. To eliminate the problem of long URLs for your product pages due to multiple subcategories, you can remove categories and subcategories from their URLs. For example, ecommerce store The Iconic”, doesn’t have their product URLs in multiple categories. Breadcrumbs are links that help people track back their path from the current page to the home page or any higher-level page on your website. Breadcrumb trail appears on the top of your page and shows your site’s structure. Consumers can view similar items just with a click of a button. This ability helps reduce bounce rate and increases user’s engagement with your site, giving a better chance of landing a sale. Schema markup is a code that if you put on your website helps index and rank your pages well on major search engines. The markup tells the search engines what your content means. To track organic search traffic to your store, you need to set up an analytic tool. You can use Google Analytics to view your traffic over time and track other pertinent ecommerce metrics. You can set up conversion goals for your product pages and see how each page is performing regarding conversion rate. Permanent 301 redirects replace the old page in the search engine index with the new one. Permanent 301 redirect moves all qualities of your redirected pages, such as traffic value, PageRank, page authority, etc., to the detour page. If you don’t do this for an expired product, change in link structure and moved content, the search engine will categorize your page as a 404 Not Found page, resulting in lost traffic. For the best SEO practice and to enhance the user experience, use a permanent 301 redirect. Find the category and product pages that rank close to 10 for their keywords. Then, optimize the meta-description and title tag of those pages to include those keywords. Now, link from the other pages to that page to increase their visibility. People will appreciate the opportunity to have a bot go and find cool gadgets for them that matches their choices. Virtual shopping assistance is going to be among the top players for ecommerce SEO in 2017 onwards. Existing contenders in the area are Shoppist.me, Macy’s and PS Dept. Websites get erroneous links and pages over time. It may happen while redesigning your site or changing URL structures. To make sure all your pages are accessible and link to correct URL, run a complete website audit at least once in a month. To do this, you can use tools such as Screaming Frog SEO Spider, Google Webmaster Tools, and LinkChecker. More and more people now shop from ecommerce stores using their mobile devices than ever before. This means unless you optimize your online store for mobile responsiveness, you are just losing out your profits to your rivals. Mobile responsiveness is the key to success for all ecommerce ventures. Even Google has expanded its ranking criteria to count mobile-friendliness as of the release of ‘Mobilegeddon’ algorithm in 2015. So, if your ecommerce store is not in proper mobile shape, get it now. Have you ever encountered an ecommerce store that takes huge time to load? Isn’t it frustrating? Nearly 47% of the online shoppers expect your web pages to have loaded within just 2 seconds or less. Your site’s speed can impact your bounce rate, conversion rate and top of it, your sales. Customers love choices! And, you can leverage this preference by linking related items on your product pages. The SEO benefit of this great up-selling technique is that you achieve increased internal links to the similar or relevant products. On category pages with thousands of products, you may want your visitors to load all products at once and let them keep scrolling down until they find what they want. Many ecommerce sites break this lengthy listing into digestible pages, which is great for user experience. However, it can negatively impact the organic performance of your store since Google feels confused on which page to display in the search results. To solve this issue, use the rel/prev tag to let search engines understand that all pages in the sequence are related. It not only improves your store’s organic performance but also gives your website a “View All” option at category pages. Having social sharing button on your product pages boosts exposure for your products. Mention a customized sharing phrase or question to the default shares to increase response rate. For example: using a question in the sharing phrase, such as “Are you ready for the best deal on this product?” can get you a high response rate. Like Schema markup, metadata allows search engines understand clearly what your page is about. Meta tags help your web pages rank in SERPs for the most relevant keywords. For visitors, writing compelling Meta information is the opportunity to attract them to click on your page and increase your CTR rate. A serpIQ study conducted in 2012 shows that top pages on Google have at least 2,000 words. Undoubtedly, it is impractical for ecommerce stores to have so many words on their product pages. The point here is that you should include as much content on your web pages as possible to increase your chances of the first-page ranking for a chosen keyword. Contrary to the 2012 study, now search engines recommend 300+ words on each product page. Also, keep in mind that content length should go hand in hand with usefulness and quality of the page. While word count matters for SEO, usefulness is the key to keep your visitors engaged. Having unique product descriptions is the most effective way to differentiate yourself from your competitors. Take hints from manufacturer’s product descriptions, but don’t use them as it is. You may think to use a series of bullet points or something genuinely creative. But it’s also everywhere! Google determines which page to rank based on the value that product description delivers to the visitors. Google checks whether the page answers the customers’ question and whether it offers exactly what the customers are looking for. If your product page does so, you will get a great ranking in SERPs. Informative content provides SEO benefit only if it’s exclusive. User-Generated Content (UGC) is the excellent way to bring organic traffic to your store. Testimonials posted by customers generate unique content on your page, which results in increased ranking and indexing in SERPs. You can refer to UGC content for long-tail keywords and optimize specific pages on your store. You may receive negative comments. That’s normal! It’s another great way to engage customers. It shows a human side to your brand and converts your visitors and customers into believers. Keyword stuffing is a thing of past. Now, you have to use target keywords in a natural way and within the flow of content. To maximize keyword optimization on your product pages, use Latent Semantic Indexing (LSI) and long-tail keywords in your content. These terms will tell search spiders that you’re talking about the same thing that your target keywords suggest. Make sure your domain has only one copy of every page in your store. Unfortunately, most companies have their entire website duplicated. This duplication leads to the problem of distribution of ranking equity. Your pages compete with each other, giving the competitors to non-duplicated one page the opportunity to outrank you for a given product. Perform a crawl on your pages using tools such as SEMRush or Screaming Frog. Review Google Analytics data for unwanted subdomains. Look into Google’s index of your website using advances modifiers, such as “site:mysite.com -inurl:www”. It will display all indexed pages that are not located in the www subdomain. If you notice subdomains in your index, update your robots.txt immediately. Large ecommerce stores usually have up to 1,000 URL variations for a single product. It troubles not only your customers, but also waste’s Google’s time as the crawler tracks down and indexes every version of the URL. It confused search engines about which page to show in SERPs and which not. In this case, you should use canonical tags and parameter exclusion tools to eliminate index bloat. An ecommerce website is never static. Products come and go; pages are updated with customer reviews and deals change. Manually updating your sitemap for each change is time-consuming. This is where dynamic sitemap help! Dynamic sitemap is auto-generated and formatted using XML, making it easily readable for search engines. Though moving to HTTPS has nothing to do with your organic performance, it adds extra security to your online store. It protects your user’s data and your servers from the hackers. Filters such as color, price, size and other variables are great for user’s experience. But these can be confusing to search spiders who might try to index a specific search variation. You can solve this issue by configuring your robot.txt for the search crawlers to ignore filtered results. To do so, get your site authenticated by Google search console. Now, carefully eliminate certain parameters from their crawl and your URLs. Make sure you don’t limit the crawler too much; otherwise, it will hide your entire site from search results. Then, transfer those parameters into your robots.txt file for other search engines. Your main keyword should be mentioned in the URL. Google reads this and helps to rank for the most relevant keywords. Also, it gives readers the confidence with what they’re going to look at your particular page. Videos are a great selling tool that allows the visitors to check the product in real-world situations. It eventually leads to much higher conversion rate. If you can ship to other countries, launching country-specific geo-targeted sites can attract a massive influx of traffic. Simply, geo-locate the sites and watch your international traffic rising. Buying guides educate people about the product and easily convert them into your customers. You can write buying guide for anything, from furniture and kitchen tools to a particular dress type. The buying should include interactive images, text, videos and more. The main goal of creating buying guide is to teach users what they should buy and direct them to the best product for them. Direct users to similar products with “Shop more: message. It’ll cleverly earn you some internal links. Offer an expected return date so the visitors will know when to come back to buy the product. 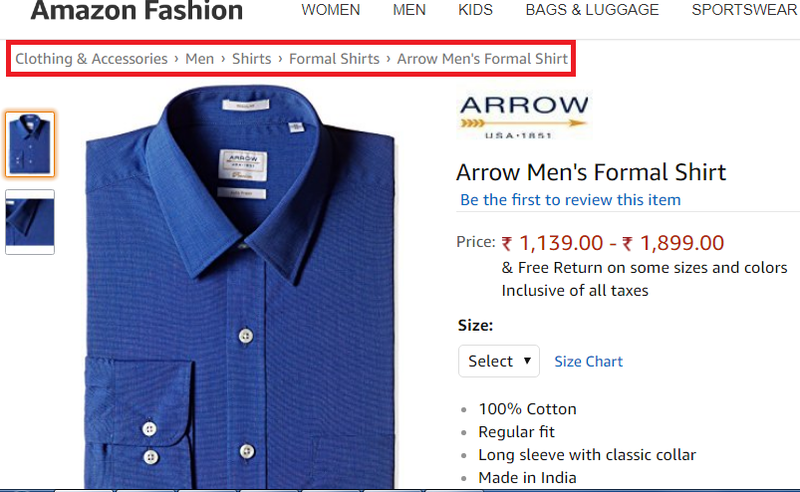 Duplicate content on product pages is the major issue with ecommerce sites. It may cause you the huge penalty and damaged brand reputation. Focus content on the most popular products’ pages. Add user-generated content such as endorsements and reviews from satisfied customers. Search engine mostly crawls the home page of any website. So, adding internal links to targeted categories and products on the home page will send crawler deeper down your store. It will increase both crawler and user visits to internal pages. The more original and higher quality images you have, the better user experience and better ranking your product pages will receive. High-quality images help your store stand out in search results and attract more people to your site. Images should have a bigger emotional impact than long textual blocks. Tell a story through images on your website. ALT tags are text alternatives when browsers fail to render images. When the image doesn’t load due to any reason, you’ll get an image box with the content you mentioned in ALT tag of the image. Make sure the tag content is relevant to the image. Adding appropriate ALT tag helps your website achieve a better ranking for the keywords associated with the image. Google uses this information to determine the best image to return for a user’s query. Keyword mapping helps plan out your keywords to avoid accidentally optimizing two pages for the same keyword. It also allows you to find where you could create some additional categories that you could create to attract some extra long tail traffic. Keyword mapping is great for ecommerce success. Built it review it quarterly and rock your SEO. Since trends change, you should go and revise your SEO mechanics. Do a quick run back over them at least once in every six months. Many ecommerce store owners think that they can use the same meta descriptions, with little changes, for each page. It is a complete SEO no-no! Instead, write unique, and fresh meta descriptions focused on humans, not for search engines. The description should have a ‘call-to-action’ factor so that people click on it when it shows up in search engines. Add keywords in the internal links on your website to enhance your store’s visibility in SERPs. Rather than typical “click here” link, a link from text that includes keywords that page you’re linking to is trying to rank for. Also, add keyword rich links within your product descriptions to link to other similar products in your store. Doing “Versus” posts on your blog is another great way to attract huge traffic to your ecommerce site. These posts have moderate purchase intention, so lead to genuine sales. These posts compare two products, and it works great if your store is selling both of them. Try typing a product into Google and put “vs.” after and see the Google suggestions. Write on one of those suggestions. SEO ranking is half of the job. You want customers to click on your site. To entice people to click on your links, you must focus on your title tags. Write descriptive and catchy title tags that are relevant to your competitive advantages. While writing title tags, you should think from a customer point of view. Ecommerce stores should always use “Buy Online” in each title tag. It qualifies your pages for more organic traffic. Mostly, customers with high purchase intention type “Buy Online” in their search terms. So, using this term in your title tags can be beneficial. Find out the sources of backlinks acquired by your competitors. You can use tools such as SEMrush and Monitor Backlinks to uncover the type of source of backlinks. If your competitors are getting links from Forum sites, then you should pitch to those forum sites. If their links are coming from guest bloggers, get on those bloggers too. Users prefer visual and practically useful stuff rather than boring text. Create impressive and easy-to-understand instructional infographics for image-specific sites such as Instagram and Pinterest. Writing ego bait means praising other brands in your content with the aim of returning the favor. Say you sell stationery. You can write a post on your website featuring “top ten gel pens” linking to pens your store is selling. Simply add links to the brands of the products and notify them of the same. You’ll get a surprising number of shares and links, which will boost your page authority and drive referrals and traffic to your store. People love deals! Leverage this fact to gain easy links and social shares. Whether it’s competition, a giveaway or a discounted item, create an enticing promotion and reach out to forums, Facebook pages, and competition pages to promote your offer. In return, win loads of clicks, shares, and links. Surprisingly, it frequently happens. Check and make sure all your links lead your customers in the direction where you want them to be – on your store. Now you can easily build profitable ecommerce stores without the knowledge of code. Thanks to Content Management Systems (CMS). But if your online store is going to be your long-term career, you must understand the basics of HTML. HTML (Hyper Text Markup Language) is the code behind all elements on your web pages. Google uses HTML to understand the context of the content and how it should be displayed to your store visitors. Understanding HTML basics can make a huge difference to your business. Have someone with a great knowledge of HTML at your company. This old trick still works! Find local bloggers, mid-list bloggers and mommy bloggers in your niche and request them to review your products. Make sure you target only active mid-level bloggers for serious attention. Restrict your search by time or location as per your preferences. Reviewers will test your products and write about it on their blog. In this way, you’ll earn credible and high-authority links to your product pages. Spend a significant time on making researching about content and keyword terms you should use for your products. This intelligence-building exercise helps you find out the most profitable keywords for your products online based on competition, search volume, etc. Using these keywords in your content will help customers better find what they might be looking for. Use tools such as Google Keyword Planner for keyword research. The world of Search Engine is unpredictable. Algorithms, trends, and policies change every day. Legging behind these changes, especially when you’re running a large business such as an ecommerce store, can impair your performance. After going through all these tips, did you notice one thing? SEO is not only about search engine ranking. In fact, it’s about encouraging customer loyalty and increasing sales. So, keep these 50 Ways to Improve SEO For Your Ecommerce Store. Manage E-commerce Ecommerce SEO, SEO Ecommerce Tips, SEO Strategy for e-commerce. permalink.